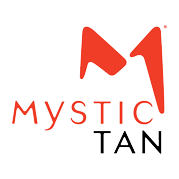 If you are looking for a hot new look before a night on the town, or if you just love the feel of a fresh tan, come in and check out our Mystic Spray Tan, Red Light Beauty Angel therapy, and six amazing tanning beds. LV Sun Rayz is proud to offer the Beauty Angel by Ergoline–a complete approach to beauty and fitness. The Beauty Angel’s combination of platform-based exercise, illuminated ambient warmth, and proprietary skin care formulations help firm and tone the appearance of muscle and skin. Enhance your experience with Beauty Angel products!